A star was born on July 28, 1990. This star is none other than “Brittney Lashay Farmer” who is also known by stage name, Shae Harmony. Shae Harmony's sultry voice and demanding presence captivates the hearts and minds of listeners. Shae Harmony hails from Snow Hill, North Carolina and has been entertaining masses locally with her soulful voice since the age of 8. 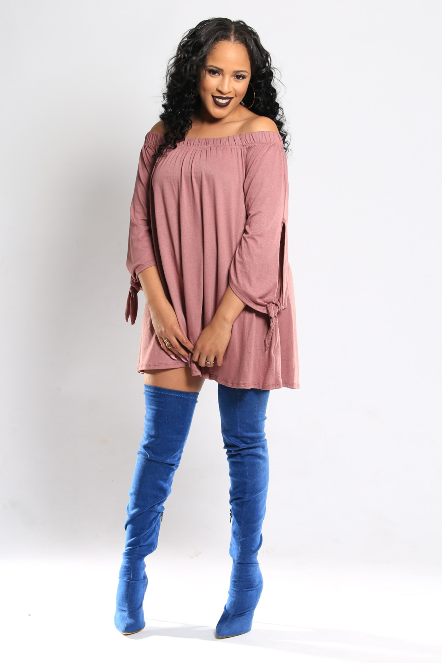 Not only has Shae Harmony performed at the Radio One Raleigh's Woman's Empowerment, but was named the Sing off winner of WPEG /WBAV. Most recently, Shae Harmony was named the Grand Prize Winner of Atlanta Top Vocals sponsored by TuKute in October 2016. Shae Harmony doesn't have a target audience because she wants her music to reach everyone. Shae Harmony hopes to inspire, influence, and empower through her own lyrics. When asked which icons most influenced her and ignited her desire to sing Shae Harmony responded, "Michael Jackson and Beyoncé. Michael had music that brought people together, and that is my mission too. I love his music. Inspiring and fun. He was a trooper, who pushed through all the negativity critics said about him; and its Beyoncé’s strength, endurance, humbleness and powerhouse vocals. She inspires me to never give up, no matter the criticism!" Additionally, Shae Harmony wants to shift the negative portrayal of women in the entertainment industry to more positive images of success. She had this to say to women who are constantly engulfed by the industry's denigrating portrayal of females, "I want to show women that we can be CEO's, entrepreneurs, and so much more. We can be attractive with clothes on. Don't let the media discourage you!" Shae Harmony is very family oriented and humbly acknowledges that without God, the support and encouragement from her family and friends she wouldn't be where she is today! One thing is sure, Shae Harmony's powerhouse vocals will send shivers down your spine, shivers of ecstasy and ultimate satisfaction!